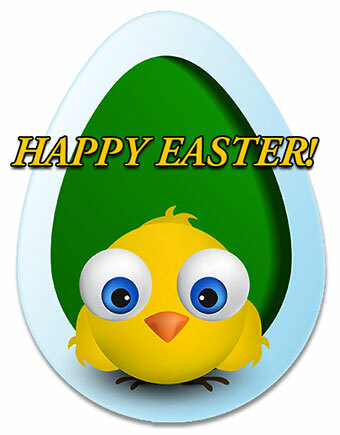 Easter graphics and animations for personal, educational and non profit websites. 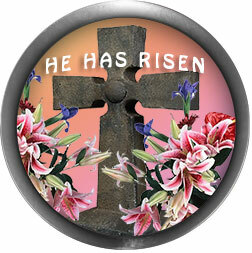 This category includes a wide variety of Easter related glitter graphics. We have Easter bunnies, lilies, eggs plus animated Easter eggs. Also, plenty of baskets, chicks, Happy Easter clipart, signs plus crosses and doves. Happy Easter! Happy Easter animated on a heart. Two bunnies in basket with star animation and flowers. HTML code for bunnies with flowers. An Easter bunny coloring an Easter egg. Chick preparing an Easter basket with ribbon and eggs. Brand new chick with Happy Easter. Animated Easter eggs with star animation. Animated eggs - code for websites. Happy Easter bunny colored eggs. Happy Easter animated in green and yellow pastels on white background. 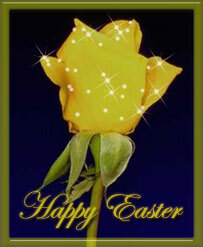 Happy Easter with yellow rose and stars. An Easter bunny pushing a barrow full of chicks and eggs with glitter animation. He Has Risen with a cross and flowers. 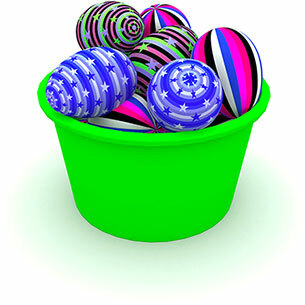 Green bucket filled with brightly colored Easter eggs. A Easter basket full of cute bunnies. 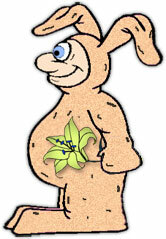 Man in bunny suit with yellow lily. Bunny with Happy Easter and glitter animation. Easter chick wishes you a Happy Easter. Happy Easter with a friendly bunny. Happy Easter Bunny with big ears. code for Happy Easter bunny. White Easter Lilies in Vase. 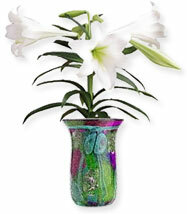 Easter Lilies - code for websites. Happy Easter with chick and eggs. 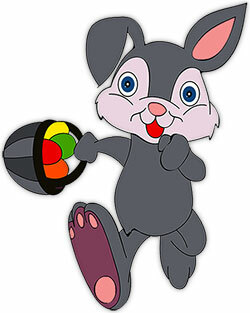 Happy Easter with Easter bunny and egg animation (could be candy eggs). Happy Easter Bunny with flowers. 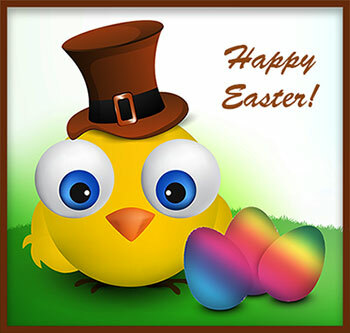 Easter bunnies with chicks, butterflies, eggs and flowers plus animation. Happy Easter with bunny, eggs, flowers and animation. Bunny and angel in egg with animation. 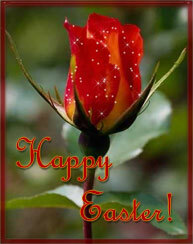 Happy Easter on red and yellow flower. Easter train with bunny, chicks, eggs, candy and more. Easter basket with painted eggs. 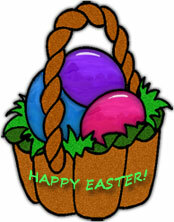 Happy Easter baske with colored eggs. 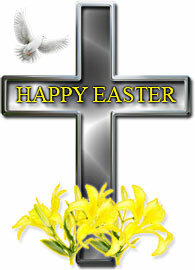 Happy Easter Christian Cross with yellow lilies and a white dove.